Alexa is not the Ironman’s Jarvis, yet its intended functionality is same- Voice Activated Computing powered by Artificial Intelligence. Amazon has announced at Europe’s CES that there are now over 50000 unique Alexa Skills globally.People are spending an awful amount of time on Alexa ever since Amazon’s Echo, a smart speaker working as a virtual assistant leveraging Alexa skill development, was awarded as 2015’s most impressive technology by CNET. Since then, Alexa has not shown any sign of slowing down. Now the question arises that is it possible that Alexa can do everything? As of now, Alexa cannot do everything but the list of doing things is growing rapidly. As far as compatibility is concerned, Amazon has favoured an open approach to the software that powers her to make it compatible with different hardwares. The functionality from an end user point of view, for Alexa enabled smart speakers is simple- Ask a question, get an answer. Give a command, get results. Unlike mobile virtual assistants like Siri, Amazon’s Artificial Intelligence powered Smart Speakers (Echo and Echo Dot) are ideal for Smart Home Automation applications. 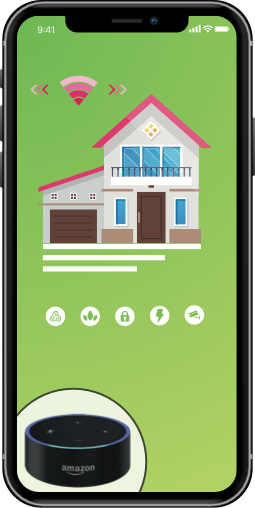 Smart home automation is an IoT based solution that is invented to serve multiple benefits like centralised security system, energy savings, transforming homes to live enhanced lives and to enhance the living experience. Alexa skills development and integration is set to be the icing on the cake for the Smart Home concept. Be it control of security locks on doors and gates, appliances, windows, lighting, surveillance cameras or/and HVAC systems (heating, ventilation and air conditioning). Looking to develop & integrate Alexa Skills for Smart Home Automation? Humans of today want everything to be on their platter instantly- be it ordering food, booking an appointment or live feeds or music from the internet. And Alexa does all of these precisely, given the skills developed. With over 3500 brands that are Alexa-compatible now, Alexa has native compatibility for Philips Hue and Lift smart bulbs, Belkin WeMo smart switches, connected thermostats like Emeron Sensi and connected home platforms like Wink, Insteon and SmartThings. The only thing that is needed is to get the skills developed and pair the Echo or Echo Dot speakers powered to smart gadgets. We, at Let’s Nurture, have experience in designing and delivering Smart Home Automation solutions leveraging our expert IoT based solutions. On the other hand, our Alexa Skill developers can help in having a seamless integration of voice assistant technology on IoT based platforms. The cost of developing and integrating Alexa Skills for Smart Home Automation will cost around $6000-$8000. Let us have a look at the features of what Alexa skills will deliver and the cost of it. Why Let’s Nurture for building Alexa Skills for Smart Homes? Alexa Skills Kit is an SDK that is having a predefined Skill sets which can be used to program any IoT device to Alexa. We have expertise in mobile app integration which helps your mobile application tying up Alexa Skills with mobile device command and display. 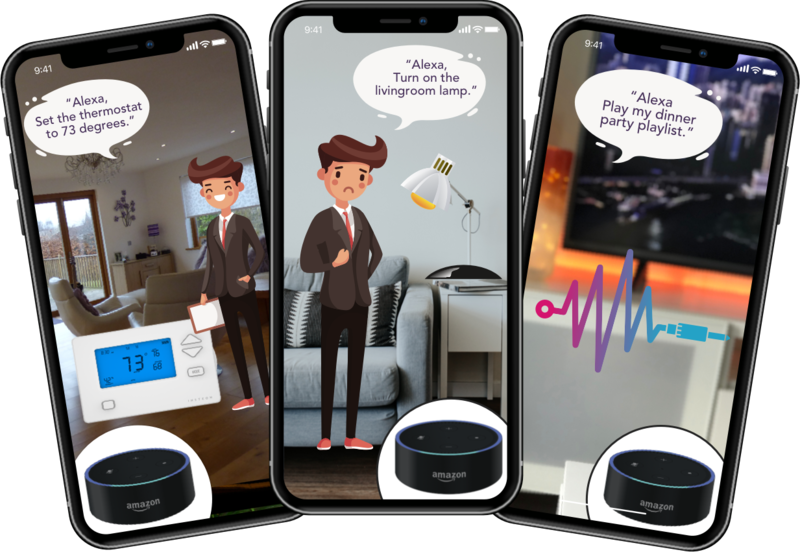 Alexa skill developers at Let’s Nurture help you design a rich voice interaction to give app users the best possible voice first technology experience. Our team of Alexa Skills development will help you in building and hosting custom developed Alexa skill(s) in the cloud. You just need to sit back and relax as far as Alexa skill development is at stake. When Alexa Skill is ready and tested, we will help you in submitting it for certification and once it passes, it will be published in the Alexa Skills Store. It is a mouth-watering concept indeed to integrate voice first technology through Smart Speakers like Amazon Echo and Echo Dot using Alexa skills integration to IoT based applications. Alexa has a rock solid position in the home in several markets. Some of that is based on the strength of Amazon’s successful merchandising of Echo smart speakers, but the momentum may now have shifted to Alexa-enabled devices of which there are many. Now, is the time to step forward & leverage voice assistant technology to transform your business of Smart Home Automation solutions by bringing Alexa Skills on board. How can I host my Alexa Skills for Home Automation? One needs to create AWS account through which you can host your skills on Amazon Store. We will certainly help you in expert consultation for Alexa skills and hosting them on Amazon Store after the live demos are given. Do you have your own Alexa Skill Developers to build custom Alexa Skills for Smart Home Automation? Let's Nurture is a leading Alexa Skill Development Company, providing unparalleled integration services to transform your business applications that your target audience will love having it. We have 10+ in-house Alexa Skill developers having experience in building custom Alexa skills. View portfolio on our own Alexa Skill developed for Moviepedia. How can add value to my SMart home automation app project with Alexa Skills? Voice first technology is now being considered as ‘The Future’ as the potential it holds to transform any business is no more a secret. Competition is present as ever and hence, to beat the competition, it is imperative that you should leverage innovative technologies and implement to your existing or a fresh mobile app development project to gain maximum benefits. Your target audience is always looking for something unique and Alexa Skills certainly enhances user experience and is a blessing for differently abled people as long as Home Automation is concerned. Are there any prerequisites to integrate Alexa skills to my Smart home automation app? The prerequisites for any custom Alexa skill development project may differ from case-to-case basis. A script that includes commands (dialogues) for the skill, particular hardware (if any) for studying it and further development process. A product which can be a combo of hardware and software with the account details for basic set up, Client AWS account - developer access (for migrating the skill to client's account). Should Alexa skill development project booking require full payment in advance? 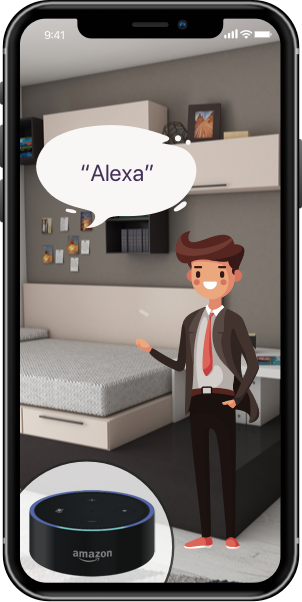 Can you provide option to hire dedicated Alexa skill developers for Alexa skill development project for Home automation app? Yes, we do provide flexible hiring models consisting highly skilled and certified resources (web developers, Android app developers, iOS developers) which are well versed in mobile app development projects for diverse industries using latest and cutting edge technologies.